Select four of the organizations listed below and discuss the purpose of the organization, the specific healthcare professionals it is likely to attract, provide a synopsis of the professional development opportunities offered and the certifications offered along with the requirement and your personal opinion of the organization and value of the credential(s) and certifications. You may also select another Healthcare Professional Organization that serves as a credentialing and/or certifying organization for any other group of healthcare professionals for one of your selected organizations. If you do clearly specify the name of the organization and what specific group of professionals the group represents. 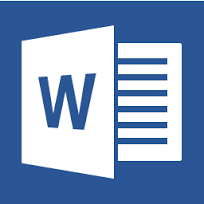 Your response is to be in a word document format ( doc. or docx. only). Cover all of the issues for each organization you choose and use good writing and presentation techniques and address the issue(s) in detail. Answer in bullet format where possible.